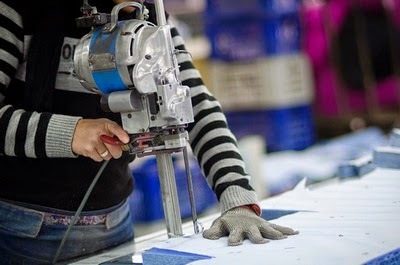 We can define cutting as, to cut the cloth according to marking of patterns for sewing a garment. Fabric cutting section is very important for next sewing section. It is one of the major section in apparel manufacturing. Cut fabrics are sorted according to the size of the fabrics. After sorting numbering is done and checking is performed 100% for avoid any types of mistakes.